Jennifer Isaacs is a prominent Australian writer, art consultant and independent curator. 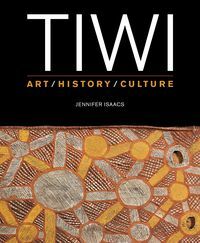 A pioneer in championing respect for Aboriginal culture, she is the author of seminal books on Aboriginal art, religion, plant use, food, medicine and oral history. In 2003 she was made a Member of the Order of Australia in recognition of her work promoting Aboriginal culture and assisting Aboriginal artists. She has maintained a close association with Tiwi families and elders for more than forty years.